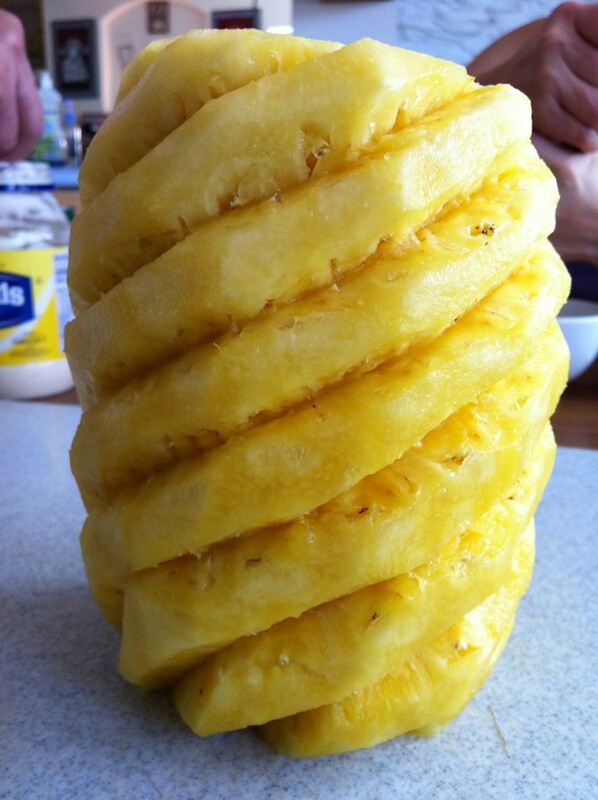 Ooooo, that pineapple is pretty! Maybe I exaggerated, it will take less than two weeks to consume!!! I try to eat some everyday, but only a little cup, I guess to save =P It takes so long to peel, I just peel about two at a time and just store them in that container. "Bowl of water method"?!?! (((o(*ﾟ▽ﾟ*)o))) Do tell!!! That's where you score the skin, then submerge the whole thing in a bowl of water. You break it apart and separate out the yummy seeds, which sink to the bottom of the bowl. The white part floats :-) I usually have a waste bowl next to the sink and put the skin and bits in it as I am loosening the seeds with my fingers. Keeps the juice from squirting all over and staining things if you accidentally puncture a seed, too. Then, when you are done, which takes about 5-10 minutes, you skim the icky parts off, rummage around the seeds to find any clingy bits, then put them in a sieve and strain them. I usually rinse them again, just to be good. I learned that from the friend who got me hooked on them. :-) Yum! Oh that sounds like a smart idea! I mom complains every time that I squirt the juice everywhere hahaha! I'll try this next time~~ if I do puncture a seed, hopefully it's not gonna dye the water, and subsequently hand, red hahaha, that would be kinda funny!! 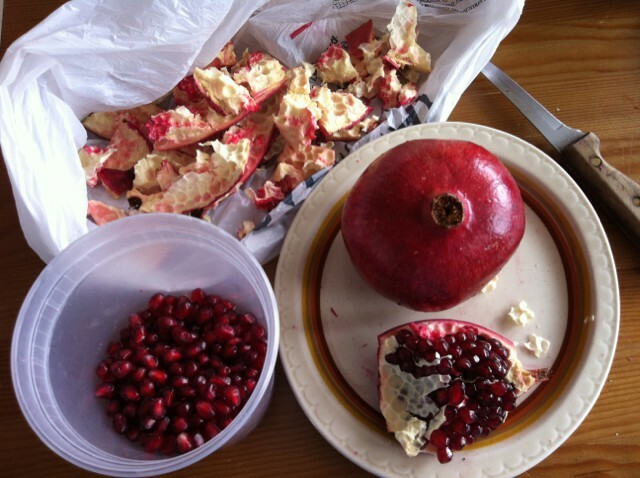 I love pomegranates ♥ We have a tree in our cottage garden and when autumn comes, we collect and eat them. It's one of the good things of that season.